Hello Friends, I hope you have gotten a good start to another new week. My weekend went totally not-as-planned, and now I am having to play catch up. All that to say, I am well, alive and kicking. I thought I would share with you before we go too late into April a couple of free-to-use patterns that were released in March. First up, My Cozy Sweater, designed using Benartex‘s newly released collection, Palm Springs. The Palm Springs fabrics are loud, happy, cheerful and cool. Do stay tuned for when I can share with you more pictures of my Tulip Trail quilt, recently featured in The Quilter Magazine(April/May 2014), that also uses fabrics from Palm Springs. 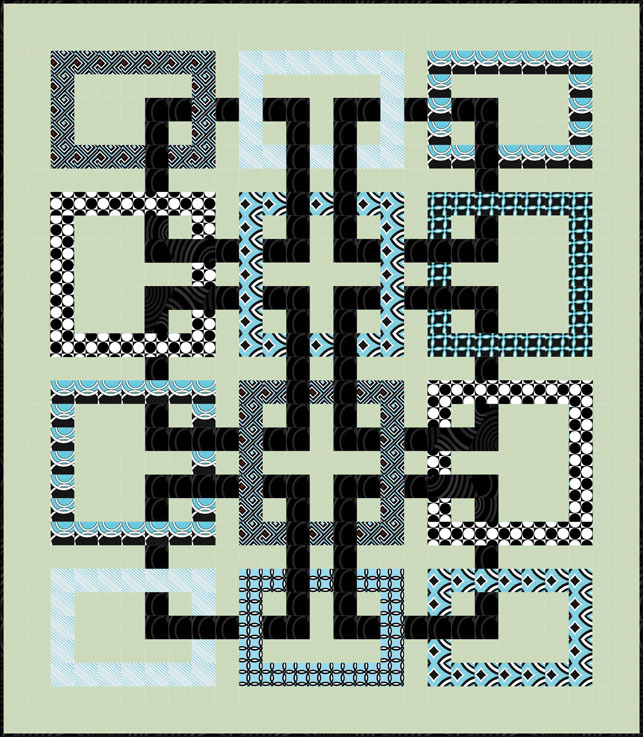 While we are still on the subject of Benartex fabrics, I am happy to share with you my Movement in Squares and It’s Electrifying! 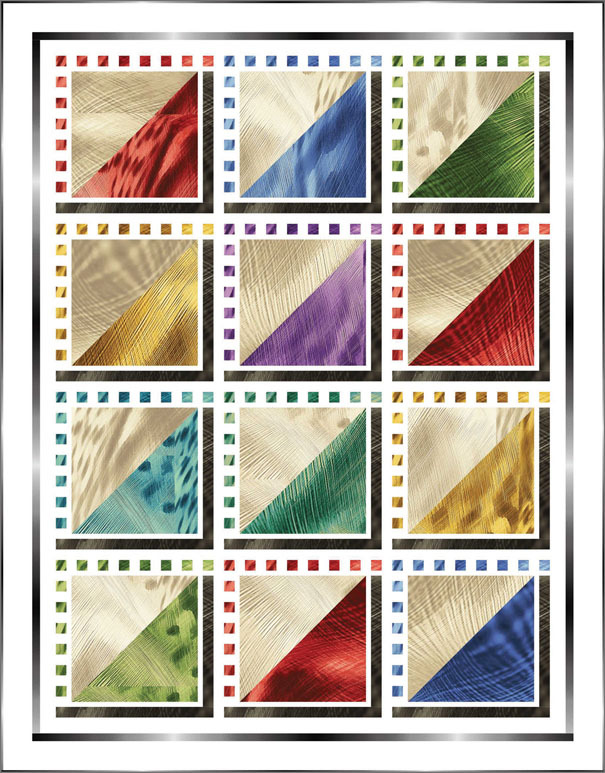 designs made final four in Benartex’s March Madness games. :) You have till tomorrow to vote between Movement in Squares and It’s Electrifying to usher either of the two to the final round. Click here to vote. I also shared more “behind the scenes” details on the designs in the same post if you are curious. 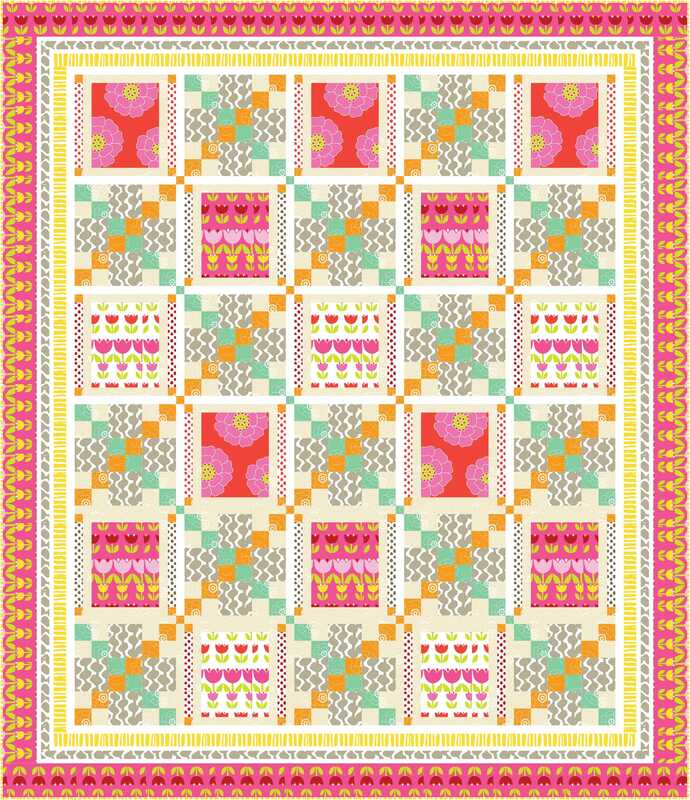 This entry was posted in Quilt Pattern, Quilting, Quilts: Pieced and tagged Benartex Palm Springs Fabric Collection, Free Quilt Pattern Download, Wendy Sheppard Designs. Bookmark the permalink. So many fun colors. Don’t they just make you happy? 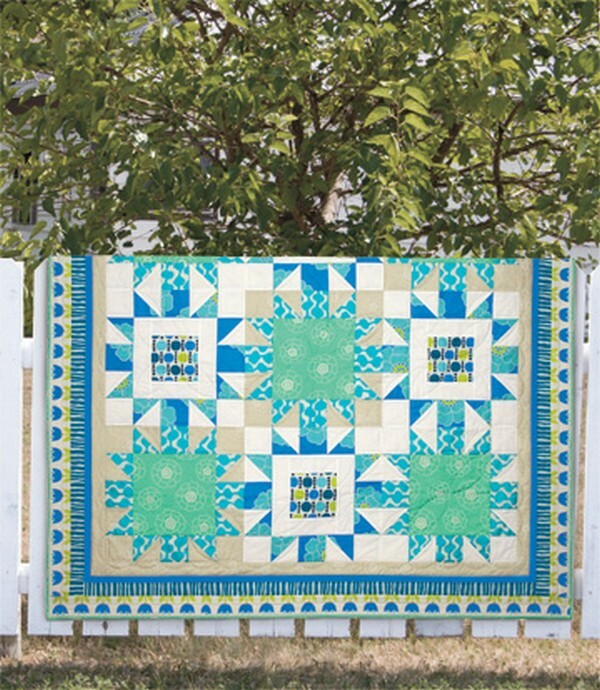 When I was relatively new to quilting I would tend to gravitate to the Thimblberries type color scheme, then one winter I just happened to sew something light and Springy–the rest is history. If I want to get a boost I surround myself with bright fabric. What a cute quilt! I can just imagine that for a “tween” girl!! Your productivity absolutely astounds me! I will admit that when it comes to quilting I am slow…takes me forever to cut something out, and my tendency is to stitch fast…but I know my results are better if I slow down a bit. So far my week has been a fabric bowl class on Monday, Tuesday bee and Guild meeting, Wednesday class on applique from Michelle Watts (it was fantastic!) and a quilt show wrap up meeting! Then on to getting my house ready for company this weekend (including hosting a crawfish boil). My body thinks I’m trying to kill it!! Hope you have a wonderful, relaxing weekend!